Summer is in full swing in the northern hemisphere. Some of us are building lesson and program plans for the fall season. Perhaps you are starting to think about your own: “Back to School” mantra. This means priorities, activities, goals and objectives. Well, you are not alone. The United Nations will convene to review the Sustainable Development Goals(SDGs). The new goals will replace the Millennial Development Goals (MDGs) with the aim to reach more people with impact. 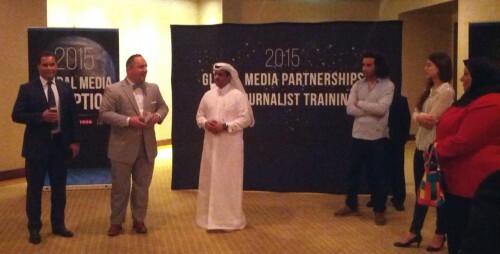 The UN Foundation is in Doha this week hosting a media training event for reporters from around the world. The goal is to encourage hyper-local storytelling focused on the SDGs. If the SDGs are going to really reach people, then media needs to be informed and included in the journey. It was great that Ooredoo is one of the hosts. 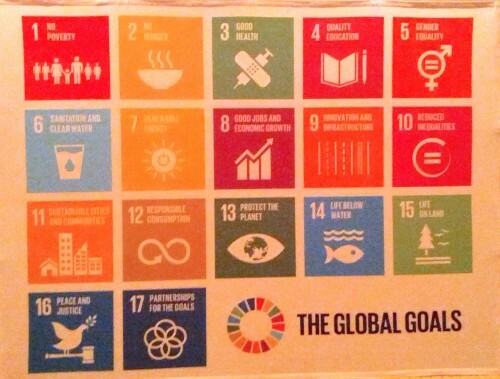 So, as you plan your social good activities, take a moment to consider how you will action the SDGs? How will you activate these stories as digital humanitarians? And, how will you teach people in your communities? How will it influence your programmes? It really starts with us. Sidenote: How did I not know about the Global Daily before? Seriously, news that matters. But the UN is leaving no teaching unturned. In fact, they also are targeting children with the great big lesson. The age of real-time has changed media, humanitarian aid and my life’s path. 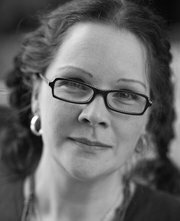 I am a community manager and communications emergency/incident manager by trade who also volunteers with digital crisis response. Social Media Week has provided great opportunities to attend events in person or participate virtually. Today I am attending OpenUN and digging into how media and crisis response organizations work with open data, real-time data and digital media changes. The way we obtain news and participate in our local and global communities is evolving. It is exciting to have my career and volunteer work merge. And, also to have the chance to learn and engage online. 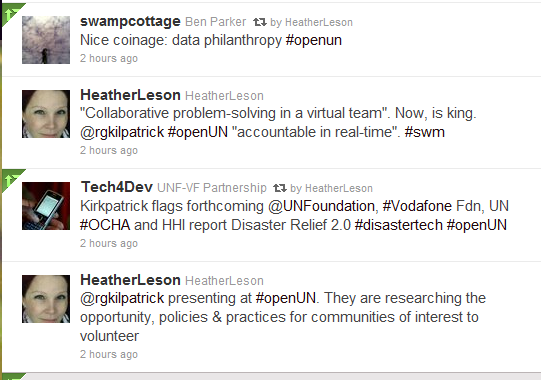 The United Nations GlobalPulse is participating in Social Media Week with “Open UN: Engagement in the age of Real-Time”. #openUN is livestreaming right now. PSFK posted, free for download, their UN report on The Future of Real-Time.